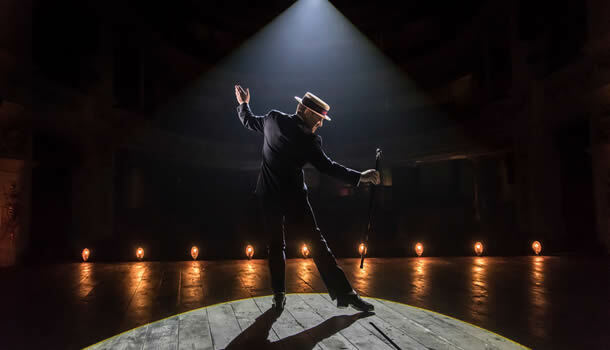 Once again Kenneth Branagh treads the path of Laurence Olivier, topping the bill of his Season at the Garrick with a role in John Osborne's melancholy The Entertainer. After a year of plays, it only seems right that Branagh headlines the final farewell, in a role that sent his acting idol tap-tapping off to fame. It's a classic Osborne kitchen-sink drama. We are given the tiniest of windows into the dilapidated home of a post-war family, a family at war with themselves and at war with each other. Archie Rice is a struggling music hall entertainer, living with his neurotic wife and bumbling father. It would be daft not to point out the irony of the play – another well-timed piece from Branagh – in the current state of the country. Young Jean and Frank are becoming increasingly disillusioned with the lack of progression, whilst Billy and Archie wonder why anything needs to change at all. It simply points out the disparity in society and politics between young and old, an issue that continues to this day. There are stellar performances from Gawn Grainger and Branagh as father and son who only become more alien to each other as the play continues. Only towards the end do we see a glimmer of love pulled out by an old music hall routine. Grainger plays Billy Rice with a strong hand; quick off the mark but with a faded sadness that captures your heart. Even as he spouts his racist remarks, you can't help but realise that he's merely an old man at a loss with the world. Branagh's Archie Rice is a different affair. Dressed up in smudged eyeliner and tap-shoes, we first see him in shadowy silhouette, tapping a slow and careful routine. It's a motif that appears throughout the piece; tap routines and gaudy music hall jokes that are both amusing and cringe-inducing. We watch the slow death of music hall as Archie pushes to make the audience laugh. It's an amazing effect. There's some decent, but overall lacklustre support from Sophie McShera and Jonah Hauer-King as Jean and Frank respectively. It's through no fault of their own – Osborne's play gives them little to grapple with aside from some jarring political outbursts that seem to have no build up, probably due to Rob Ashford's direction, which at times seems a little clumsy. There's a lot of standing up and sitting down and walking around and standing in single file, and you can't help but wish they would just stand still. Christopher Oram's set, however, does the piece real justice. Reflecting the opening scene, which depicts Archie as a boxer about to enter the ring, towel around his neck; there are lights that show the scene numbers. Is it an omen that there are 13 scenes, or is that just for the superstitious? Set within the confines of a holey theatre with the rafters poking through, it's the perfect metaphor for the piece and, more importantly, is beautiful to look at. Overall it's another triumph for the Branagh season. It may not pack the punch of The Painkiller, which was so hysterical that I almost fell out of my seat, and it may not have the atmospheric tone of The Winter's Tale. But it has a point, whether intentional or not, and pokes us to wonder how much our “beloved Britain” has changed since the 1950's. There are some star performances in here, but it's not quite the entertainer that you may think.